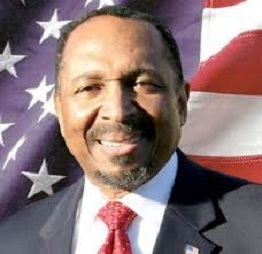 Let’s see what Bishop Jackson said that the New York Times finds extreme. I am a proud citizen of the greatest state in this Union, the Commonwealth of Virginia. My ancestors go back more than 200 years ago in Orange County, Virginia. I am running to be Lieutenant Governor of Virginia for one primary reason – to make sure that Virginia remains sovereign and free! We say that every Virginian, regardless of your race, background or economic status, we want you to fulfill your dreams, to be able to support your families, and to know that your children will have a better life than the life that you have had. I grew up in a foster home for most of my childhood. We want the dream of hope and opportunity that America has meant to me to be available to every child. How can we do that? Ronald Reagan said the answers are not necessarily easy, but they are simple. Here’s how we do it. Get the government off our backs, off our property, off our guns, out of our families, out of our health care, and out of our way! I took an oath in August of 1970 in the United States Marine Corps to the Constitution of the United States that I would preserve protect and defend it against all enemies foreign and domestic and bear true faith and allegiance to the same. That oath never had an expiration date, and included in that oath is something called the tenth amendment to that constitution which said that the Commonwealth of Virginia is a sovereign state. We do not have to ask the government’s permission to get our coal and our oil and our gas out of the ground. We do not need their permission to farm our land or sell our products. And … we do not need their permission to have a pond on our property or a party in our house. We stand up for property rights because there is no liberty when the government dictates what you do on your own property. We stand up for the free market because there is no liberty when the government dictates your economic destiny. We stand up for the lives of unborn children because there is no liberty without freedom. And we stand up for the traditional family because there is no liberty when government tries to violate our conscience. And we stand up for parental choice in education because there is no liberty when children are indoctrinated instead of educated. And yes, and yes, we stand up for the second amendment because there is no liberty where madmen get to go into our schools and slaughter our children and we don’t have the ability to stop them. Ronald Reagan said freedom is never more than one generation from extinction. We do not pass it on to our children in the bloodstream. It must be fought for and protected and passed on to them to do the same or we will spend our sunset years telling our children that the United States of America where once men were free. That’s not our vision. 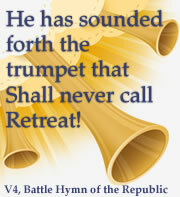 Our vision is captured in my favorite patriotic hymn. My country tis of thee, sweet land of liberty, of thee I sing. Land where my fathers died, land of the Pilgrim’s pride, from every mountainside let freedom ring. And because this is my vision for our country, I am proud to say that I am not an African-American, I am an American. I am tired of the hyphenation. No more hyphenation. I have a 21st vision – 21st century vision for our country. It is a vision to end the racial and class and economic division that liberals are forcing on us. It is a vision of faith, a vision of family, a vision of individual liberty and personal responsibility. 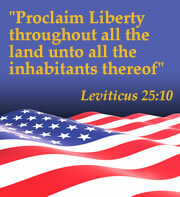 It is a vision of one nation under God, indivisible with liberty and justice for all. This is our vision. This is our hope. This is what I will fight for as your next Lieutenant Governor. Will you fight with me? From the Southwest to the Northern Neck from Hampton Roads to NoVA, will you fight with me? And we will not only win the election in November. We will win the hearts and minds of our people, and we will save this Commonwealth and save this country. God will show us the way, but Virginia must lead the way, and let liberty light the way. God Bless you, God bless the Commonwealth of Virginia, and God Bless the United States of America! Watch this wonderful “extremism” here. The Huffington Post headlined Jackson as a “VA Bigot” because he said, “Planned Parenthood had been more harmful to African-Americans than the Ku Klux Klan”—a very peculiar use of the word bigot. This source estimates from 1865 to 1973 the Klan killed 1,937 people; about 85% were black and 15 % white. Others, perhaps hundreds of thousands were injured or intimidated by the Klan. On the other hand, according to figures released by Planned Parenthood, PPA legally murdered 333,964 babies in 2011 alone. While we know the legal slaughter was about 20% higher in the first 25 years, let’s just for the sake of a comparative number, round the 2011 figure down to 333,000 and use the number as conservatively representative of Planned Parenthood’s deadly rampage. This low estimate means PPA has slaughtered 13,320,000 of God’s children; not to mention the damaged souls of millions of women. Granted, black babies account for far less than 85% of the total murdered. Currently blacks account for an all time high of 40% of babies legally killed in America. Let’s set the 40 year average at a modest 30% for blacks or 4,000,000 little black babies compared to 1,650 black people of all ages killed by the Klan—2425 to one killed by PPA in only 40 years. It is profoundly clear who the bigots are. Go Virginia, elect a great team to lead your state and influence America; Ken Cuccinelli for Governor and E. W. Jackson for Lt. Governor. This entry was posted in 2013, American leadership, Old and Done Media, Reclaiming and Restoring America, Vision. Bookmark the permalink.